As I hold a doctorate in education, I feel well qualified to comment on your program...Making Music Together deserves special attention because it succeeds on so many educative levels....there is no surprise that you are making such a contribution to children's desire to examine, engage and pursue the incredible world that only The Arts can offer." Read the full comment here. "This is by far the best music program my daughter and I have experienced. We look forward to the class all week!" "The multi-age component is one of the things I love most about your classes. My son has had the opportunity to be the "little guy" and now the "big guy" and there's huge learning in all that......that's important stuff!!" "Making Music Together is clearly a cut above on the children's music education scene." "LOVE this class!!! This will be our third semester with Akemi and my daughter adores her!" "We just have to say that your program is phenomenal! Hannah is a fantastic teacher and makes every class lively and entertaining. Our kids love it so thank you very much for offering such a great program! "Josie is excellent, she is joyful and vibrant at every single class. I enjoy the class as much as my daughter does!" "The class is wonderful! My son responds to Josie and the music beautifully. I see a different side of him every Thursday. The way he moves to the music and the expression on his face as takes the rhythm and the movements in. It's quite amazing to see your child thrive in that way. Every parent should give their child the gift of music at an early age! "...To this day my daughter never sings any songs during the class but when we're in the car or at home, she is hte ultimate songbird. I am pleasantly surprised at the powerful impact this class has had on her and I can honestly say i love to hear her sing. Love your enthusiasm! Thank you Risa!" 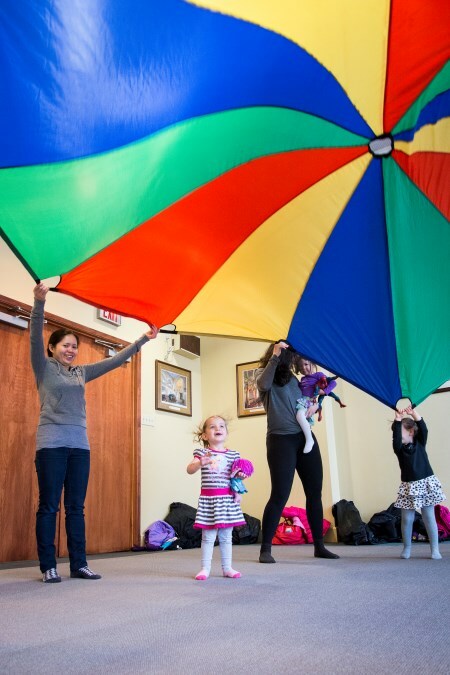 "Although I have tried various music classes through the early years centres and parks and recreation that were far less expensive, I found that the quality of the instructors, the programming and the approach at making music together was by far superior and worth every additional penny. I am going back for my second set of classes this January. My son absolutely loves the CDs from making music together – we play them at home, in the car and have even uploaded them onto our ipod so that we can also listen to the songs while traveling on vacation. 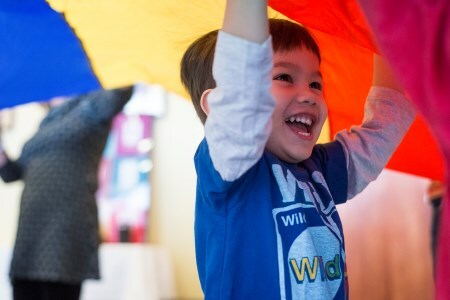 He is only 18 months old and is able to recognize the songs when they are played and starts bopping to the beat and doing the action part of the songs." "I just wanted to write and say thank you for running such a fantastic program. My son is finishing his first session of Making Music Together and he just turned 17 months. I am amazed by the impact music class has had on Niko and our family - and I don't even attend the sessions! (He goes with Grandma). Listening to the CD will calm him in the worst of moods, and he has begun to sing along to two of songs (the trills in Sandpiper and "dee dee" in the Harvest Dance). He had blossomed into a great little dancer, and his budding sense of rhythm and sheer enjoyment is a joy to behold. The take home materials allow me to engage musically with Niko even though we haven't been to a single class together. The songs are great and even though we listen to the CD on a daily basis, I have yet to tire of them. We have just signed up for our 2nd session and hope to stay for many more! " "Hi Risa, I just wanted to thank you for having mixed age classes! Not only does it appear to be beneficial from an educational standpoint but just makes it so much easier to let siblings have activities together. Thanks so much for offering this! It's a total relief to find this." "Just wanted to let you know, how much my daughter loves your classes. She doesn't have a favourite doll, she doesn't have a security blanket, but she does have those making music together books. She takes them everywhere, to the bathroom, to her grandparents, and also to bed (every night). At this point they are all ripped and tattered but they have been lovingly scotch taped and re-stapled back together. Every night, before she goes to bed, she insists that I read the front couple of pages to her and the back dictionary part as her night time story. My husband and I have never attended any of the classes but we know every single song from Trot Old Joe to Roll That Little Ball. Thank you so much, my child is definitely a poster child for your program." Well I am back in Ottawa and must say I miss the music classes I had with Obie and you two ladies. It amazed me how much he actually learned. I never would have thought that he would pick up the actions, words and some of the tunes when all he appeared to do for a lot of the classes was walk around. Your tolerance for the individual learning and your enthusiasm for what you do is remarkable and made those classes I had with him a very special time I will always remember. Your have a great program and very special instructors. Thank you thank you thank you! I would definetly recommend this program to anyone I know who has small children!" "Chloe and I really enjoyed the class! The songs and arrangements were interesting and challenging for both adults and kids alike, making for a stimulating experience for all. 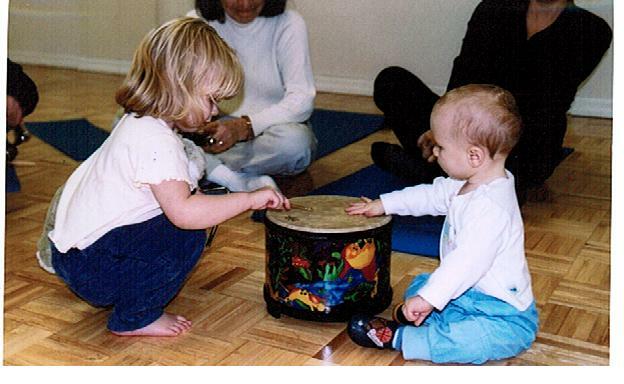 I have found previous music programs I've done to be too rigid, structured and full of rules and directions, making it hard for toddlers to simply enjoy and learn. I felt the suggestions and guidelines made by Risa to be extremely helpful and logical to make the musical experience more meaningful. I have recommended it to all of my friends with small children". "Our children are huge fans of this program. We are generally a musical family and the suite of MMT CDs has in large part become the sound track of our lives." "My daughter (20 mos.) loves her music class. She talks about it all week! "She is happiest when listening to music. She dances and jumps around during the class and enjoys all aspects." and in the car and I often find myself humming the songs in my head!" "My two children, Jack (age 3 yrs) and Hilary (age 1 yr) have learned many great new songs. With the tape and CD, we are able to use music to make dinner prep, car drives, even traffic into fun times. Classes are innovative and appeal to all ages a great way to foster your children's love of music!" our baby was only a few weeks old at his first session! 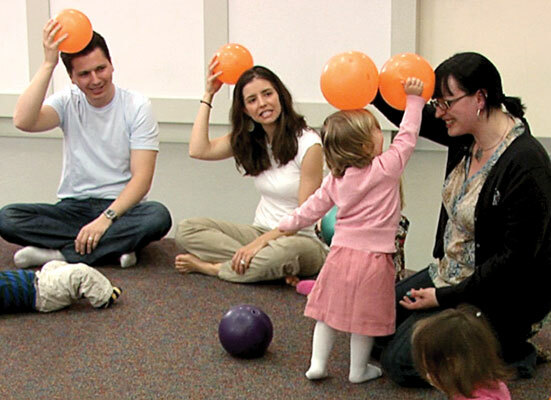 Music Together combines music, movement and fun into a great musical experience. We listen to the CDs in the car and our older son knows all the words. He also loves Risa!!" "A special thanks to Akemi for providing a seamless class and for her contagious enthusiasm. My daughter adores her. It is one of the highlights of our week to see my daughter dance and sing both at home and while with her Music Together group ."